Better late than never this week right?! :) I hope you have all had a wonderful week! Our weather has been a bit crazy! We went from extreme heat (which apparently made the news all over the US), and then to sticky, humid, stormy weather. I loved the thunder and lightning. The girls....not as much. Today we are back to our "normal" for this time of year. Perfect. 82 degrees. Ahhh! 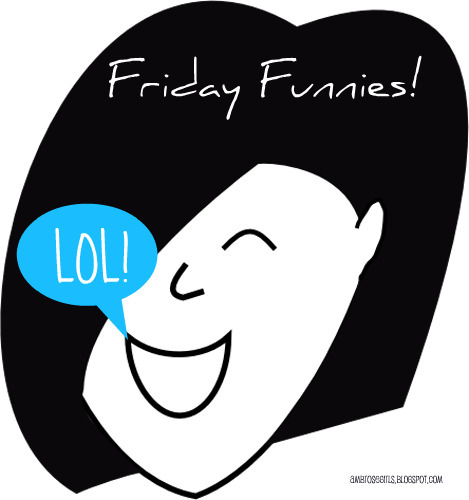 Enjoy our Funnies from this week! Bailey burped one evening and then giggled. Me: Bailey, what do you say? Bailey thinks it funny lately to refer to "daddy" as "Brian." She also has been walking into a room and saying "Hi honey!" to me. Bailey was dancing to a video and then fell over. She said to herself, "Oh Bailey, you're so funny. I crack myself up!" Bailey grabbed the dogs leashes one morning as we were heading out the door to take Reagan to school. I said, "Bailey, we are not taking the dogs with us to school. Please put the leashes away." She walked over to the dogs (who were SO excited about the leashes) and said, "Sorry puppies. I said yes, but mommy said no." Bailey was talking on her phone to Auntie Sharon (a fake phone), and she said, "Sharon, you live in Turkey?!!! Do you have Turkeys and Chickens?" Skylar was giggling last night and I said, "What's so funny?" And she said, "You don't smell it?!" Bailey keeps saying "3,2,1, Blastoff" but Blastoff comes out as "Blastard!" Bailey is a little crack up!! I've never heard her talk very much so it's cracking me up picturing her talking like that :) So funny.